The Step2 Picnic Tables for kids are suitable for every garden. 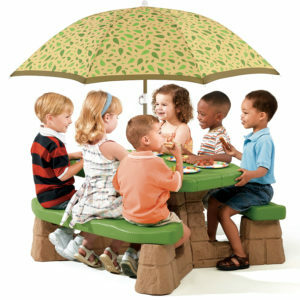 Kids can socially engage and chatter around one of these durable plastic tables that are sized just right for your kids. A must have for every household.